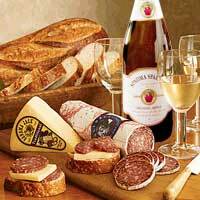 Using a complement of spices, full-bodied wine and select cuts of pork, this Italian Dry Salami from Columbus brings out the richness and aroma unique to this slow-cured specialty meat. 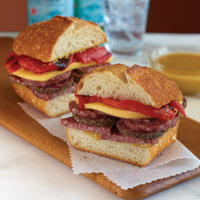 It is an Italian classic with a San Francisco twist. There's no limit to how you can enjoy it -in an antipasto, chopped into a salad, piled on a sandwich, popped straight into your mouth. Delicious. 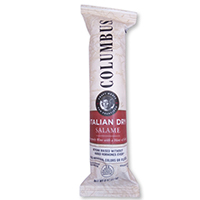 Includes: 1- 8 oz Italian Dry Salame. From William E. Smith of Midlothian, Virginia on 5/12/2018 . From Don Luttrell of Colorado Springs, Colorado on 1/14/2018 . From Anonymous of Colorado Springs , Colorado on 1/12/2018 . From Sharon Gilfether of San Bruno, California on 7/28/2017 .